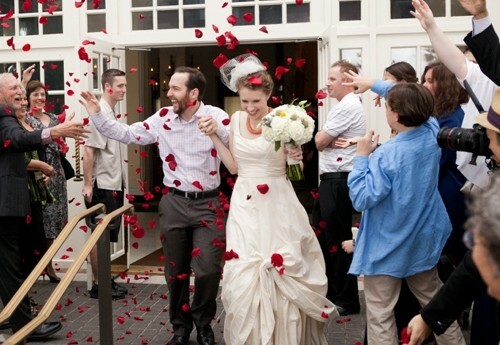 Toss rose petals to the newlyweds as they make their exit! See more photos from this wedding on the source. See a tutorial for this idea with fresh rose petals in custom baggies. See a tutorial for this idea with dried rose petals in paper cones.